Welcome to my personal quiz. There are ten questions only, and by the end, you will discover something amazing about yourself. No cheating by looking down until you have answered all the questions honestly. When answering the questions below, award yourself zero points for A answers, and 2 points for B answers. If you cannot decide which one, that's 1 point. 2) Who should hold the television remote? 4) Who open a beer bottle or can better? 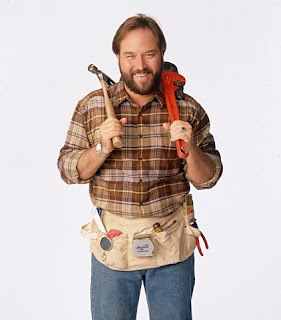 0-4: You'd make Tim The Tool Man Taylor Proud. If you want to share your scores, please do reply in the comments box. I scored a four. Phew. Sorry for not answering sooner! Well Mindee, a well rounded woman you must be, without overdoing it. A nice balance.